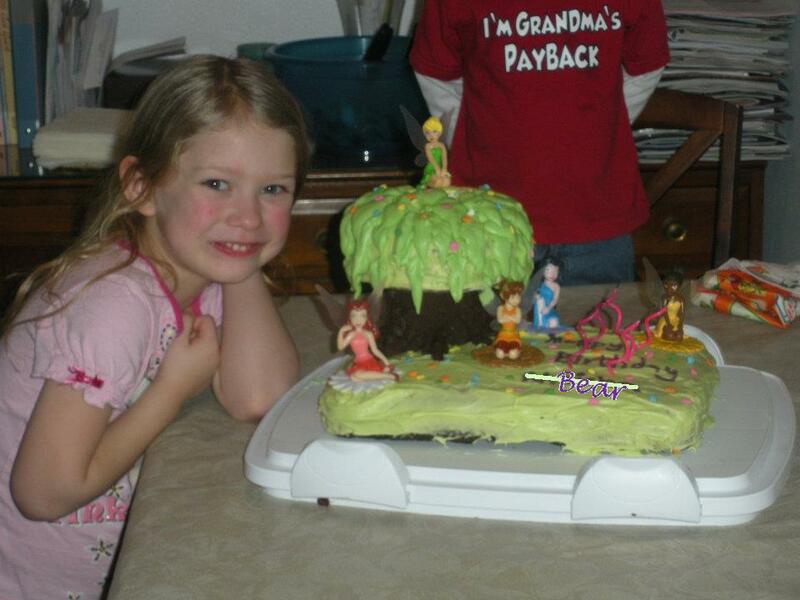 Faith, Trust, & Pixie Dust is all it took to put this cake together! 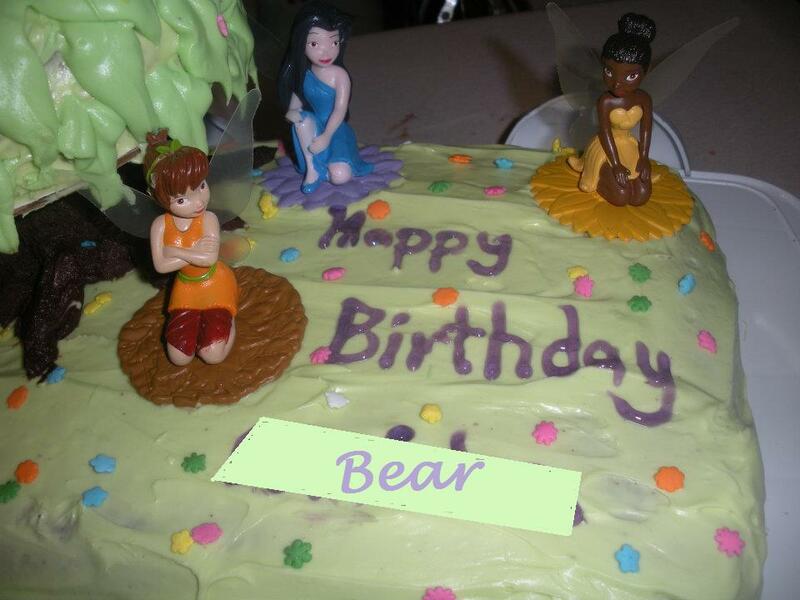 Bear asked for a chocolate Tinkerbell cake for her 5th birthday. I used the Rich Chocolate Cake and cream cheese frosting recipes from my ever trusty Good Housekeeping Cook Book. This was my first layered cake with a column, so I did not have materials and was rather nervous. After waiting until the night before her birthday, at 8 pm, I searched Michaels and Walmart (the stores that weren't already closed) and did not find the column I was envisioning. I grabbed a cheap plastic cup from the cabinet and hot glued a cardboard cake round to the bottom. After frosting the base (9x13), I added forced the cup down into the cake. I piped a basic chocolate butter frosting onto the cup to form a tree trunk before placing the remaining 5" circle cake on top the base. Adding some extra green coloring to the remaining frosting before piping leaves with a large Wilton leaf tip added just the right contrast. Tinkerbell and other fairy figurines and a sprinkling of pastel flowers completed the cake. It even survived the daunting trip across town to great-gram's apartment where family awaited. Bear was quite pleased. 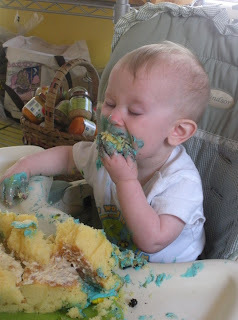 Life As Mom for a birthday cake round-up. We've completed Week 2 of the Pantry Challenge. Are you following along? Follow along or link-up your progress at Good Cheap Eats. I'm slowly working toward my goals. Though last week was thrown off a bit when Daddy Cow picked up some marked down spareribs and brats- one of the positives and negatives of his working at a local grocery. 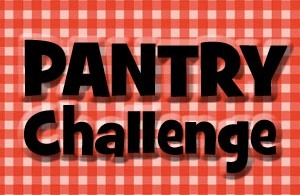 Interested in participating in the Pantry Challenge? Link up at Good Cheap Eats. We've completed Week 1 of the Pantry Challenge. Follow along or link-up your progress at Good Cheap Eats. We followed last week's plan fairly well, but because I slept in and didn't get the beans cooking, we swapped our ham and beans for Sunday night lasagna. Having planned lunches available in the refrigerator and posted on the side of the refrigerator has prevented Daddy Cow's lunchtime pizza and Jimmy John's orders- and also made taking lunch with me to work a simpler process. Here's what's on the plan for next week. 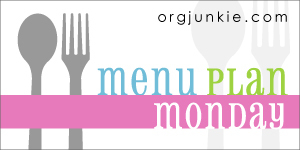 For more meal planning inspiration check out OrgJukie. Christmas means ham dinners and ham dinners mean ham bones! If you have a ham bone (or leftover chopped ham) in the freezer, try this simple hearty meal to warm your family. Pick through beans and soak overnight. Place ham bone in slow cooker. Add vegetables, beans, seasonings, and water. Make sure beans are submerged. Cook on high 6 hrs or low 10 hrs. 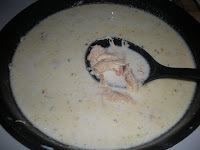 Pull out bone- all meat should easily fall off. Stir well before serving. Ham n beans is best served with warm cornbread. I use this recipe from the trusty Good Housekeeping cookbook I received as a high school graduation present. I was inspired last year by the 12 DIY projects Crystal from MoneySavingMom completed and have created a pretty long list of projects I'd like to try. When I saw her list this year, I decided to create my own list of projects. I'll share how they go and maybe this will keep me motivated to finish them. What are some things you would like to accomplish this year? It's Day 2 of the Pantry Challenge. We started the New Year with corned beef and cabbage adapted from this recipe at A Year of Slow Cooking. A successful Pantry Challenge requires knowing what you have. The easiest way is to take an inventory and meal plan. Meal planning prevents the deer-in-headlights freeze when asked "what's for dinner?" and reduces the temptation to cave and pick up supper on the way home. We have a good stockpile so with some creativity, the need to purchase additional groceries will be easily kept to a minimum. This week we will need to buy eggs, milk, and sandwich cheese (sneaky kids have apparently swiped it all). Jessica at Good Cheap Eats and Life as Mom is hosting another Pantry Challenge. Despite holiday sales not being quite what I'd hoped, this fall has left our freezer pretty full. This Pantry Challenge isn't about going without or what we don't have; it's about focusing on the bounty before us. Focusing on what we already have will help us start out the new year in the right direction and set us on the path toward our yearly family goals. I knew we were starting to build up some frost on the sides of our freezer, but when inventorying, I also found greasy orange frost in one of the bottom corners. I'll be focusing on using what is in the freezer this month and not be adding to our freezer stockpile. Hopefully by the end, I'll have cleared out enough to defrost and clean our chest freezer. One of our family goals this year is to expand our garden. Cutting the grocery budget this month will provide money to put toward soil in the increased area, seeds, and plants if my first attempt at indoor seedlings flops. I will still need to purchase some fresh produce and dairy, but will be greatly reducing our grocery spending this month. 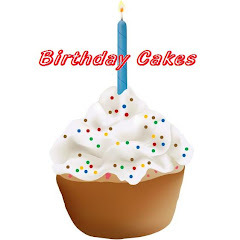 Follow along each Monday as myself and others link-up at Good Cheap Eats. Heat oil, garlic, onion, and chilies in the bottom of a large stock pot on medium low until onions are soft and translucent. Add remaining ingredients and stir well. Simmer on low 4-5 hrs or until thick and beans are soft. I like mine over macaroni with shredded cheddar, parm, and diced onion- and plenty of corn bread on the side. Papa Cow prefers his with shredded cheddar and lots of Saltines. Bear agrees with her daddy and scoops hers with crackers. How do you eat your chili? Wednesday we made a quick stop in at Marsh to pick up the following. We made another, much bigger trip today. Everything was quickly Tetris-ed into the fridge and I didn't get a picture, but we scored some great deals- with minimal coupons. 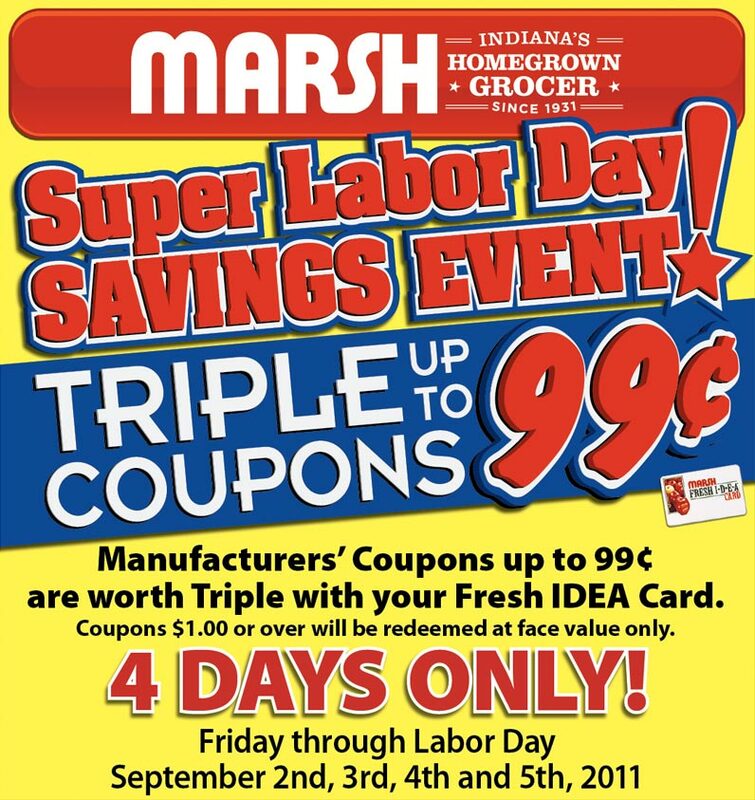 Actually, I only used the $15 off $100 coupon from the ad and the $2 off Folgers coupon (also from the Marsh ad). Our freezer is once again full with a variety of meal starters which will make menu planning even easier. Earlier this week we enjoyed what may be our last week of 80 degree weather this year. On our way to and from the playground we completed a letter "B" scavenger hunt finding a bridge, bird, brother, books, and several blue and black items. Another night we took dinner to some friends and met their new baby boy. Cool weather hit just in time for our letter B supper. Combine in slow cooker. Cook on low 6-8 hrs. Serve with Bread and Butter. This year we embarked on our homeschooling adventure as Bear started preschool. This week we started the alphabet working on the letter A with handwriting, phonics, and some fun activities. We started the week running through the front yard as airplanes, astronauts, and alligators. I don't have a pic, but the driver's education car that circles our block got a show! 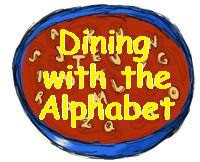 Every Thursday we are dining with the alphabet- with supper revolving around the week's letter. While the kids were coloring these free coloring pages, I put together this fast, delicious A supper. We talked about each ingredient and tried them individually. Both kids loved it. Boil 1 box of angel hair pasta according to directions, drain, and return to pot. Add one jar marinated artichoke hearts with liquid, toss to combine. Sprinkle with shredded asiago cheese. Serve with asparagus sauteed in olive oil and lemon pepper. We had apple slices for dessert. We ended a fabulous A week with a trip to our local orchard. I haven't been as good about planning my monthly baking day/freezer cooking sessions this summer. This three day weekend is the perfect time to get back into the swing of things. By taking one (or two) days each month to cook in bulk, the rest of the month will go much smoother. Freezer cooking saves time chopping, preparing, cooking, and even cleanup! In addition to the triple coupon event, our local store issued $5/40 coupons in the ad to celebrate their post remodel grand re-opening event. The cashier took the store coupon off my total before scanning manufacturers coupons! We shouldn't need dish soap for a while. We later made a 2nd trip to Marsh and picked up a latte with my free Birthday drink postcard at Starbucks on the way home. We planted our garden pretty late this spring, so things are just starting to ripen. Last week, as I sat in my car waiting patiently with my fellow commuters for the light change, I listened to the soft grinding-rattling sound originating from beneath the hood. Every morning, commuting to work, heart racing at the thought of my car taking it's last breath, leaving me alongside the road. I knew what was wrong with it. Why hadn't I fixed it? Well, a lack of emergency fund. I've made many excuses as to why we live paycheck to paycheck, but none are excusable- previous car repairs, vandals, burglars, pay cuts, our rental home going into foreclosure... I know better, but as a society we've made it easy on each other to adopt this common lifestyle. I told myself I was doing the best I could, but I need to be honest with myself. If I had planned further ahead, those events wouldn't have been the emergencies they became. If I had been a better steward of my money, I wouldn't be in this hole. Unfortunately, this epiphany occurred a little too late... as did my car repairs. A $400 repair became a $900 replacement- one that we couldn't fix with YouTube. I'd been planning to ride my bike for fitness and environmental reasons, but this economic reason seemed to be the one that kicked my in the seat. So, last Tuesday I rode the 22.5 mi round trip commute- and I liked it. Just when I thought I'd found a part-time fiscally responsive solution, I sprained my ankle in the yard. Barely weight-bearing, I've given up dreams of Tour de France, and picked up my car from the mechanic. This fall, I embark on a new chapter in life with several new endeavors and goals. Buddy received a toy workbench for his birthday this year, so we decided to throw a tool themed party. 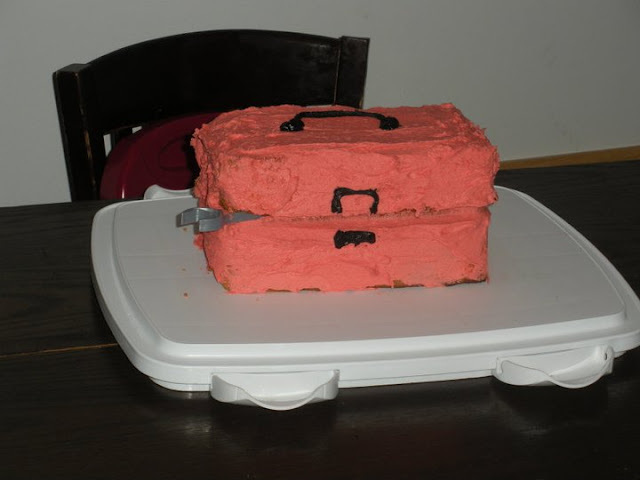 The cake was baked in two loaf pans Then stacked on each other, propped open with a couple toothpicks. If I had planned ahead, it would have had 1/2 a doughnut handle and some better (more) tools instead of the wrench we pulled from his toy box. Bear asked for a Zoe cake this year. 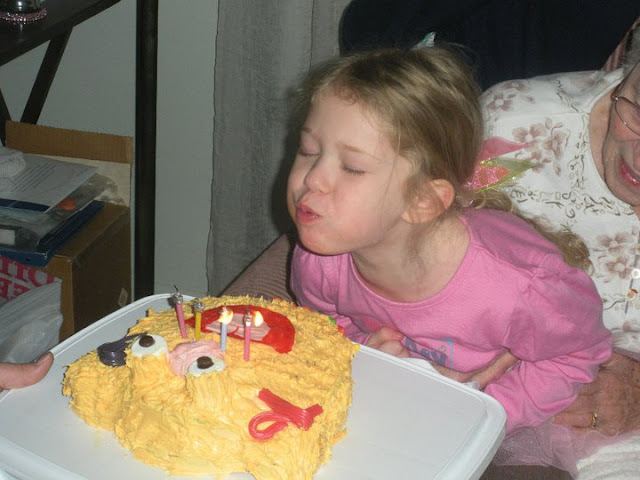 Almost as easy as the Elmo cake I made last year. If you're looking for a fun activity for the kids, try making cards. What kid doesn't love to draw? You can find pre-cut and folded cards at most craft stores. Or, if you're up to it they are pretty easy to make yourself. I pulled out a stack of white cardstock, cut them in half with my paper cutter (to make two 5 1/2"x 8 1/2" rectangles. Then I scored them "in half" making a light pass with my sliding paper cutter, or you could also lightly use an xacto blade. There you go- cards ready for decorating. Now through Friday, Nov 19, cards with positive greetings for our troops are being collected for the Hoosier Cheer for Heroes campaign. So, let your little ones draw pictures, your big ones write notes of thanks, and jot down your own letter to let our troops know we appreciate their sacrafice for our freedom. I don't shop on Black Friday. I do not like malls or fairs. I avoid crowded areas like the plague. But, I look forward to this grab bag sale that only comes twice each year. I'll see if it's still worth it when the kids are older, but for now, I can fit enough baby/toddler items in one bag to make each item $.50-$1.00. Garage sale prices at a resale shop. If you go, prepare yourself. In the past, I've faced a line of women waiting for the doors to open and a wild dash to the racks. Learn more and see a picture of the deals I scored at the last grab bag event here. 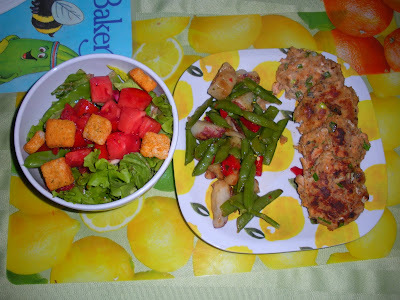 Tonight we had salmon patties for supper. I'd not had these growing up and wasn't sure I'd like them- they were not appealing, but I was branching out and tried them. 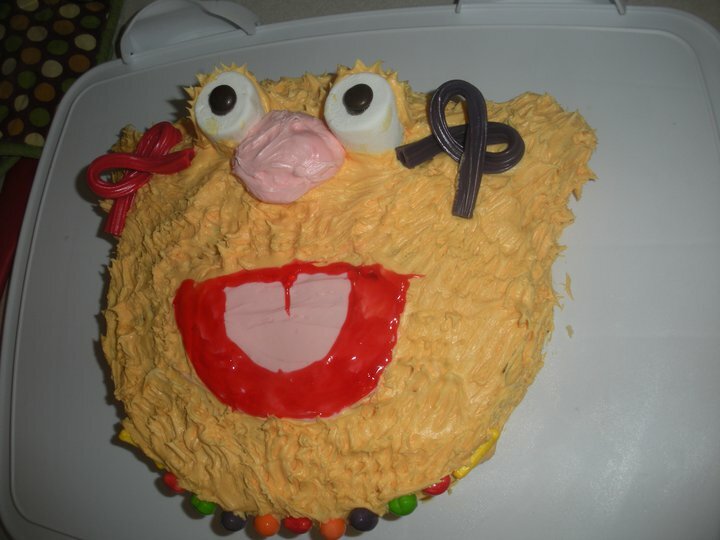 I tried several recipes and ended up with my own adaptation. Now they are a family favorite. This meal for 3-4 cost approx $4.76. I served the salmon patties with frozen veggies (purchased on sale with coupon for approx .70/box) and salads made primarily from garden produce. Seeds are inexpensive and the free onion starts, etc we received from family are even better! Another key to savings, is being flexible. We skipped one of our planned meals this week for baked tilapia with cucumber radish relish. Tilapia was marked down half price when I was at the store. Look for the orange tags of marked down produce, meat/fish, diary, and baked goods. Most items still have a couple days to a week before they expire, so watch to make sure you can use it before it's date is up. Who says you can't find healthy savings? I am hopeful the Greenworks free and clear will not cause us any problems (sensitive allergy prone skin), but decided to give it a try for $3.73. I am also very excited about the Kashi cereal which was on sale 2/$5. I received the sample box in the mail after signing up on Facebook which had $1/1 coupon enclosed. GoLean Crisp is so good I bought a box instead of using the coupon on one of my stand-by favorites. I scored another 2 coupons from a mailer from www.mambosprouts.com. I highly recommend signing up. They have high value $1+ coupons on healthy foods. That's also where I got a $1/1 Almond Breeze which was on sale for $2.50 (AND I got a FREE Silk Almond catalina)! While picking up the almond milk, we happened upon a quart of organic, plain whole milk yogurt for DS marked down from $7.92 to $1.99. Oh, those chocolate covered raisins? NOT on sale- that's what I grabbed from DD's hand before she could stuff them in her mouth as we passed the bulk bins. 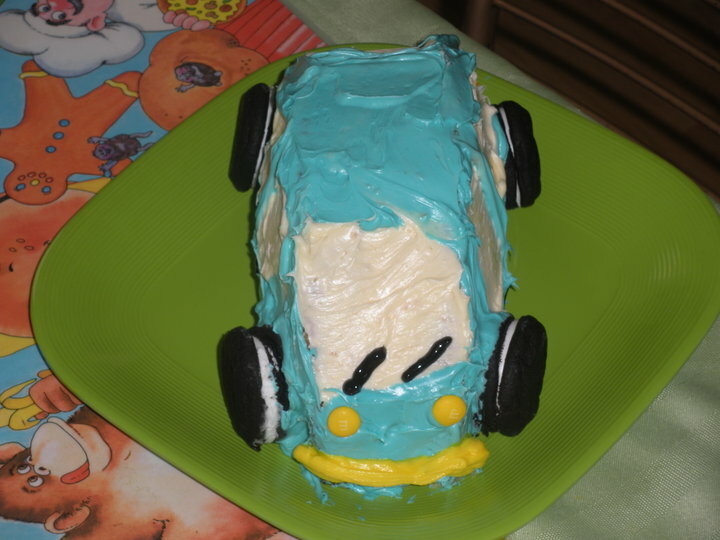 I decided to make a car cake for Buddy's first birthday. I wish I could share it step-by-step with you, but I finished this 15 minutes after guests arrived. Basically, I baked a standard 2 layer round cake. I frosted one simply to serve guests. I sliced the other in half and stood them up on the flat cut side with a thin layer of frosting holding them together. I frosted patches of white for windows before covering the rest with blue. 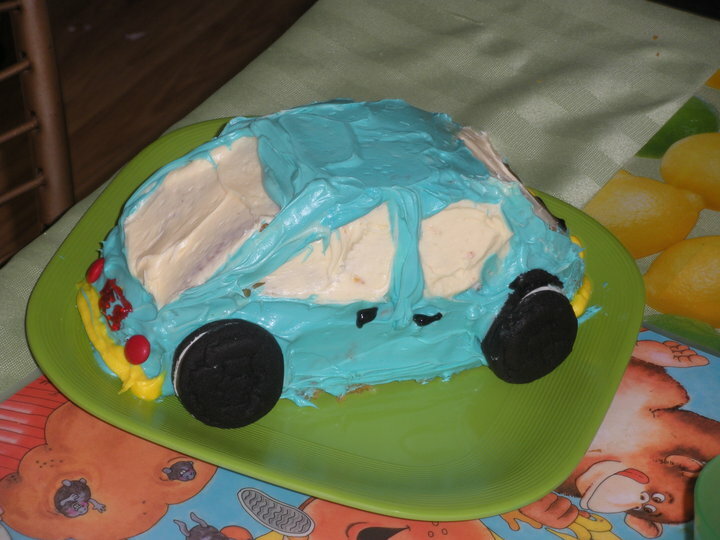 Oreo Cakesters made wheels, M&Ms made headlights and tail lights, and a bit of piped frosting finished up the details. Whether you celebrate Easter or not, if you are a ham eater, this is the time of year to buy ham. You can pick them up at Marsh right now for as low as $.77/lb. Slice it, cube it, and freeze it in meal sized portions. Then, when you want a ham omelet or quiche, scalloped potatoes, or spaghetti carbonara, you will have cubed ham without paying the premium for pre-diced ham at the grocery. You might also take advantage of tossing any unusually shaped scraps in the food processor and making up some ham salad to change up lunch this week. 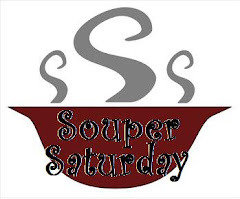 If you buy ham with a bone, let it simmer and pull off any remaining tid bits and make ham and beans with the broth. Hurry, before it's too hot to bake cornbread 'cause you can't have ham and beans without cornbread! 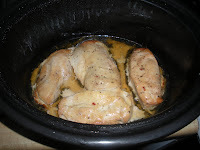 I put extra chicken breasts in the slow cooker for supper Tuesday night. They were marinated in Italian salad dressing- yum! I loved watching Robin Miller on Food Network when we had cable and still love to check her out on their website. Seriously, check her out. One of my favorite things, learned from her, is to cook extra and use it later. So, if you are gilling steak, grill extra, slice it up, and make it into fajitas later in the week. If you are roasting BBQ chicken breasts in the oven, make extra and chop them up for empanadas. It takes only a few extra seconds and will save you so much time later in the week! 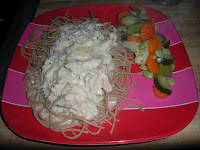 So, I made Creamy Italian Chicken Spaghetti. It was wonderful. Bear loved it too. Then we went for a walk around the neighborhood for about an hour- we still had calories to burn, but it was getting too dark. I had such a good feeling about this meal, that I measured things as I put them in! I rarely do that, but wanted to be able to accurately share. If you try it, you'll thank me. You can cook up several chicken breasts, marinated in Italian salad dressing, or you can take my advice and use some leftovers. I had four chicken breasts. I used three in the recipe. Daddy ate the other one, microwaved with marinara sauce and cheese (he wanted no part in my experiment- his loss). 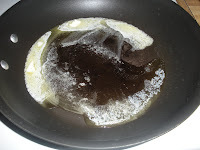 Heat 2 T butter and 2 T olive oil in a large skillet. You are welcome to mix and match, but that's the combo I chose. Add 1 T crushed garlic. 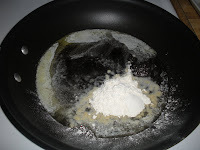 Stir in 2 T flour. This is called a rue, now don't you feel fancy? 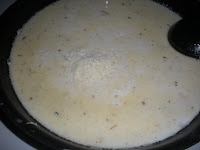 Let it bubble away for about a minute to cook the flour, so you don't have a raw taste in your sauce. 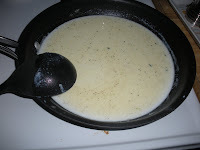 Next add 3/4 c dry white wine, 1/2 c Italian salad dressing, and 3/4 c heavy cream (or half and half, etc). Any dry white wine will work, but my preference is Gewurtzraminer- love it. 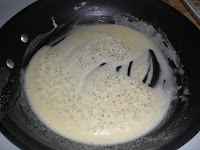 I used 2% milk because that's all we had- and this was an experiment, but I'm telling you, at least use half and half! 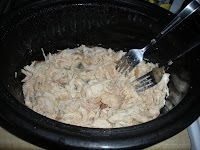 Add the shredded chicken and 1/2 tsp dry rosemary. Let it bubble away for 3-5 min and get thick. It's not rich enough- add 1 cup parmesan cheese. Stir in well. I served this over spaghetti with a blend of veggies from the freezer. Fabulous, and it didn't take long to throw together when I got home from work. The sun is out, the tulips are sprouting, and a cardinal was at our window feeder this morning. Spring is on the way. There are dozens of reasons I like about Spring. Along with the fresh new life sprouting up around us, it is a good time to freshen things up in the kitchen. Clean out those cabinets/pantries/freezers and look for things that are about to expire- then find ways to use 'em before they do. Late spring brings the start of a bounty of summer produce. I've said it before, and I'll say it again. Eat in season! I typically rotate meals by season. While we're freshening everything else up, find a few extra minutes to freshen up your meal plans. I find a great start to menu planning is a listing of what you make. Some great summer changes are to add meals that require no cooking, or ones that have slow cooker/grilling out options. Free E-Book "100 Activities to Keep Your Children Happy"
Sign up for the Natural Parenting Tips newsletter to receive your copy. The $15 grab bag sale at OUAC only comes 2x/yr and is usually worth your time, if you are willing to put in the effort. I made it to OUAC at 10 til and was far from the first one there, but everyone was sitting in their cars to wait because of the cold. Last winter, I was 6 mo pregnant and waiting outside the doors in a big crowd, freezing because I didn't want to wear my coat inside. I had my game plan laid out ahead of time. I started with the boys 12-18 mo, hoping for pajamas and sweatpants. I found neither But, I did manage to stuff two bags full of clothes for the kids. My tip is to pick up a basket and throw everything you think you want in it. Then, find yourself a quiet corner somewhere and sort "yes" and "maybe items. Take all the "yes" items off hangers, fold and roll them into tight little tubes which you stick down into the bags. If you have any room left, decide which "maybe"s to add. Hi. I'm a Hoosier mom of two, who works full-time away from home for a local not-for-profit. While it's challenging to budget for a family of four with my modest income, our children love having their daddy home with them. We strongly value both God and family and trust that while we do not always have what we want, we do have what we need. Every day is a new opportunity to learn and grow together. Between work and home schooling a preschooler, I'm on a mission to simplify and build a healthier, God-focused home. Follow me as I share my successes as well as failures in this journey.